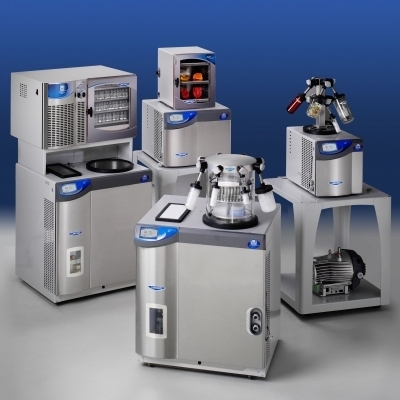 FreeZone Small Tray Dryers lyophilize small to moderate bulk sample loads or batches of vials or serum bottles. 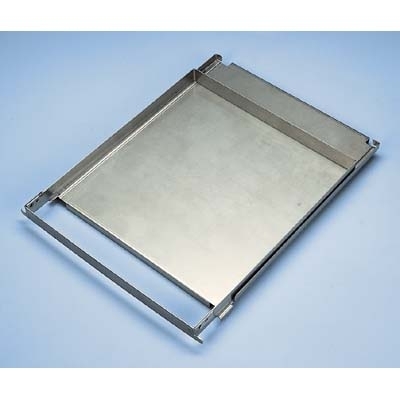 The Small Tray Dryers have three 10.6” x 11.7” shelves that heat up to +60° C. They are designed to fit on either FreeZone Benchtop or Console Freeze Dryers. Lyo-Works™ OS lets the user set up to 30 programs, with up to 16 steps each; record, chart and store data; and receive email alerts. 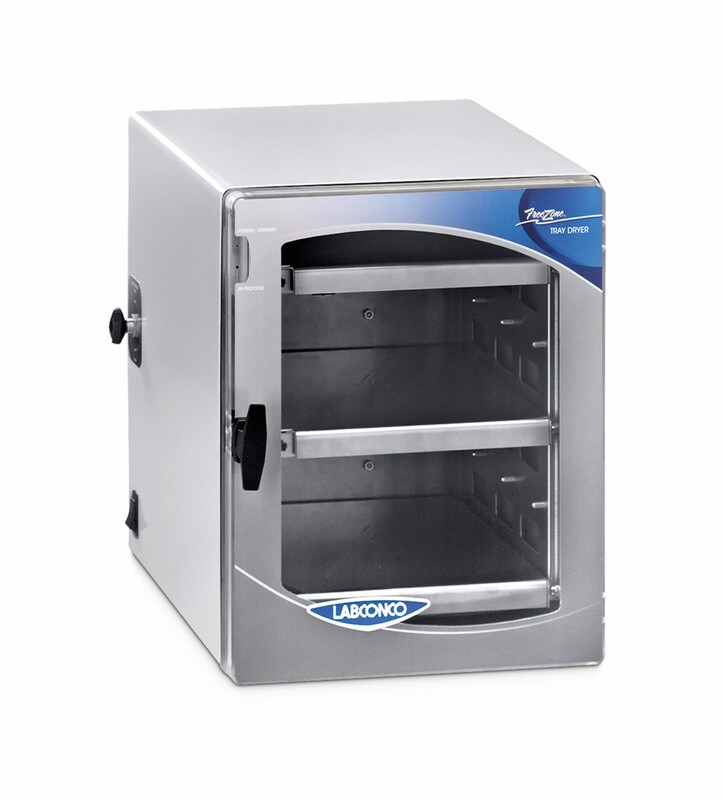 The tray dryer connects to a FreeZone Freeze Dryer that provides a real time display of the tray dryer’s parameters on a large capacitive touch screen. FreeZone Freeze Dryer manufactured after July 2017 and vacuum pump are required (not included). Acrylic door, 1" thick, with silicone gasket and latch. Three shelves, each 10.6" w x 12.0" d (26.9 cm x 30.5 cm) to provide 127.2 square inches of area. Chamber can accommodate two additional shelves (sold separately). Three sensor probes for monitoring sample temperature. Connections for two additional sensors are provided (additional Sensors sold separately). System programming that is displayed on any FreeZone 2.5, 4.5, 6, 8, 12 or 18 Liter Freeze Dryer, which is sold separately (not for use with FreeZone Legacy models): Manual or Program mode; probe temperatures in ° C or ° F, vacuum in mBar, Pa or Torr; segment of the program that is in progress; time remaining in present segment; end of program; alarms for power failure; supply line voltage outside of limits; system temperature variation >±2° C, vacuum variation >0.500 mBar; failure to reach system set point temperature; and program completed. 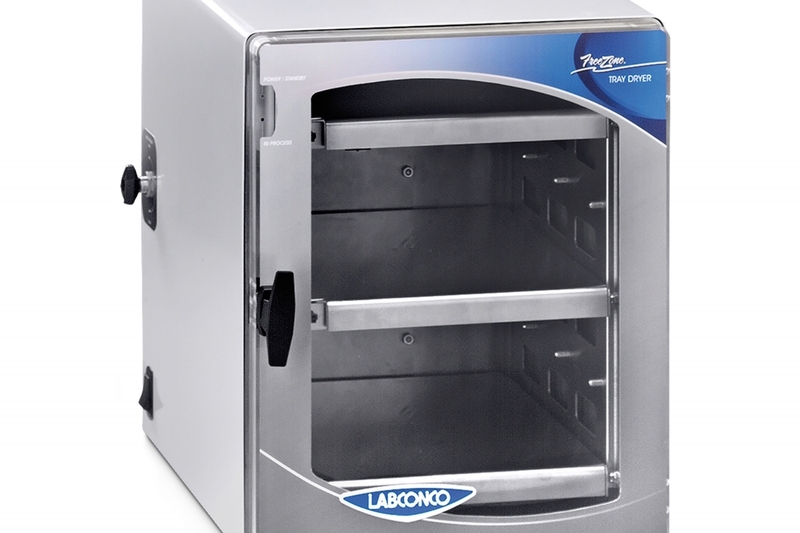 Data logging and storage that displays and stores data in table or chart on the FreeZone 2.5, 4.5, 6, 8, 12 or 18 Liter Freeze Dryer, which is sold separately (not for use with FreeZone Legacy models). Data logging may be exported via USB or Ethernet from the FreeZone Freeze Dryer. Vacuum release valve with knob for venting the chamber so the chamber door may be opened. 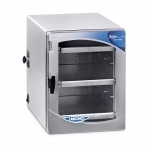 FreeZone 2.5, 4.5, 6, 8, 12 or 18 Liter Console Freeze Dryer (not for use with FreeZone Legacy models). Declaration of Conformity for applicable models of the FreeZone Bulk Tray Dryer and Small Tray Dryer manufactured August 2017 to present.